One realtor says a lack of foreign buyers is why homeowners who bought in the pricey part of the town a few years ago are now selling for huge losses. "The West Side housing market…became very reliant of foreign capital flowing in," said Andrew Hasman, the realtor for an owner who finally managed to sell their 1920s character home after more than a year on the market. Last month, a detached fixer-upper in East Vancouver was listed for just shy of $1 million, a price that has been unheard of in the city for years. While devaluing has been the most dramatic on the West Side, the trend extends right across Metro Vancouver, with most detached homes selling for well under their assessed value. And one expert says those two trends are closely connected. While the downward trend is good news for those looking to get into the market, it was a tough lesson for Hasman's client. "The seller is not happy, but it's just the reality and for whatever reason, they had to sell," he said. According to the real estate board of Metro Vancouver, the benchmark price for detached homes pulled back 9.1 per cent from January 2018 and is now at less than $1.5 million. The benchmark price for condos fell by 1.7 per cent to $658,600. That number is just over the $1 million mark for all residential property types combined. 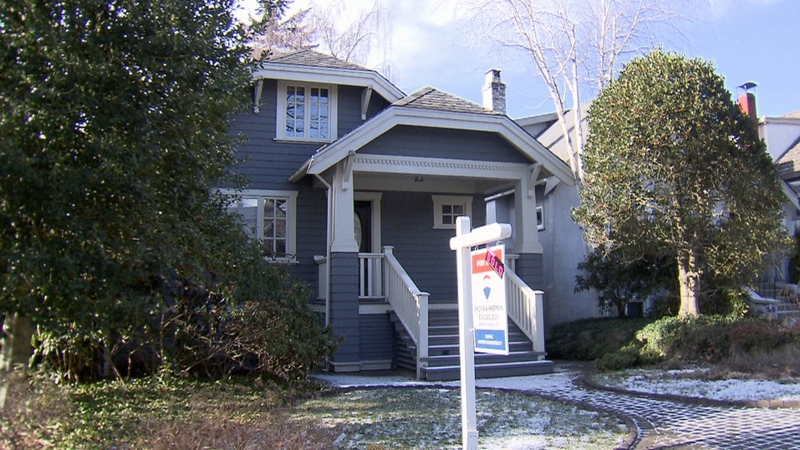 A sold home is seen on Vancouver's West Side.